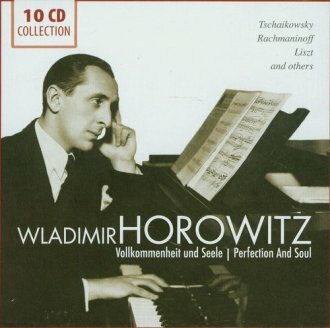 Vladimir Horowitz was revered both as a demon and a keyboard god and has remained unique among pianists to this very day. He was also deemed a magician and hyper-virtuoso and the rage of his interpretations, which often bordered on the extreme, has been compared to natural phenomena like tornados, thunderstorms and volcanic eruptions. Horowitz s playing was technically flawless and was filled with exuberant verve and unprecedented opulence but also left room for poetry and spirituality. This compilation features recordings made between 1931 and 1957 and boasts several highlights from the Ukrainian pianist s repertoire including, of course, Franz Liszt s Sonata in B minor and further works written by Liszt for solo piano plus Rachmaninov s Piano Concerto No. 3, a selection of Chopin pieces, Beethoven s Appassionata as well as piano concertos by Tchaikovsky and Brahms conducted by the maestro furioso himself, Arturo Toscanini. The selection of works corresponds to the wide spectrum of his repertoire and ranges from works by Bach to Barber and from Scarlatti to Scriabin.